An angel to watch over you or someone you love. 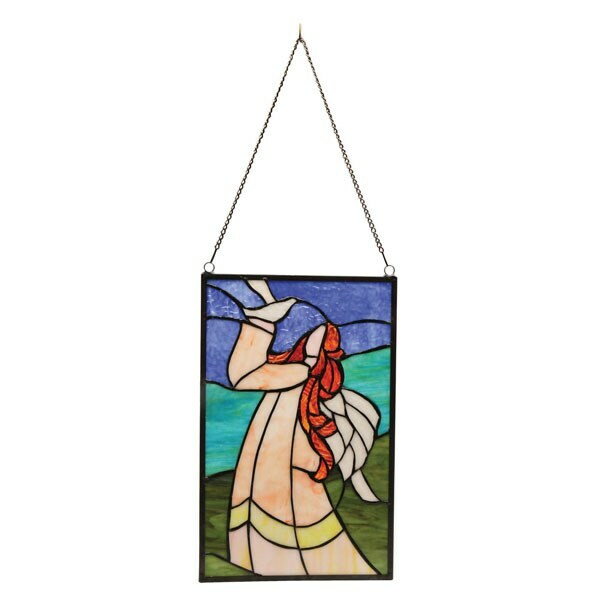 Crafted Tiffany-style from 55 cuts of art glass, pieced by hand and joined with copper foil, she holds a dove in her hand. 9" x 14". Comes with a 21" hanging chain.